Room, Breakfast and 3 course island Dinner based on 2 people sharing a twin or double room. 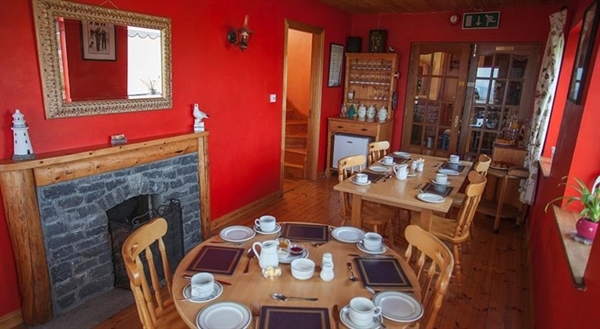 This quiet room overlooks Galway Bay and the famous Aran stone walls. It includes free Wi-Fi, a radio, electric blanket, and an en suite shower room with complimentary toiletries and a hairdryer. Room service only after 4 nights stay. Coffee/Tea making facilities available in Dining room. Sauna and Steam Shower available by use of slot machine (usually 3 / 5 ONE EURO coins). Room, Breakfast and 3 course island Dinner based on 2 people sharing a twin room.